Returning back to university for the New Year? Moving back home? Our expert removals team can move you into your new student accommodation in no time or pack-up your belongings and move you back home. We also offer low cost student storage solutions, perfect for keeping your belongings safe during the holidays. Oh, and student’s get 10% off all BMS services! Follow our guide to making your move a simple one…. Check with your university to see if they have any rules for moving, including dates and times to avoid any delay or complications. Sort through your belongings; throw out what you don’t need, and consider donating some of your unwanted items to charity. We collect, store and deliver your stuff. We ensure that our low-cost rates are complimented with secure storage facilities for students and there is plenty of flexibility across the summer break, Christmas, Easter and all year round. Make sure your boxes don’t weigh more than 25kg to ensure the safety of your things being transported. Don’t forget to label your boxes to make unpacking easier. The BMS Transport team have been to university. 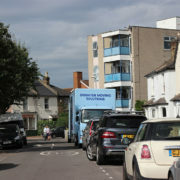 No, we don’t have a degree in removals. But we do understand the importance of getting by as a student through affordable means. That’s why we provide low cost storage for students in South London and Surrey. 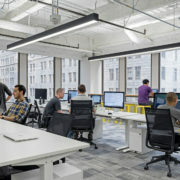 Relocating can be a daunting process, whether you’re relocating for a new job opportunity, or to be closer to a loved one, there a few things that should be considered. Our handy relocating guide can help take out some of the stress out of what can be an overwhelming process. Make a relocating plan! 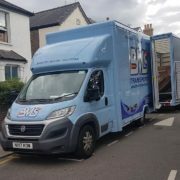 The more detailed the better, include information such as; details of the removal company that is helping relocate your belongings, expected times of arrival and, who is involved in the relocating process. Remember to take delays into consideration, i.e. new furniture may not be delivered on time, or possible traffic when on route. Check out the new surroundings before you relocate, make sure the facilities you require are conveniently located, this could be amenities such as schools if you have children. Not only this, but It’s ideal to familiarise yourself with the area you’re relocating to, find out where transport links, shops and parks are, this can help you feel less secluded in the first few weeks of relocating. There is nothing worse than relocating to your new lovely home and having to swim through a sea of boxes trying to find what you need. Labelling is key to organisation, label what is in each box, what room they are for and if they are fragile. This will save you a lot of time, and could help protect that fine China from breaking during the whole relocating process. It’s also worth packing a separate box for the first few days, this will allow you to take your time unpacking and you can easily access the essentials without stressing.